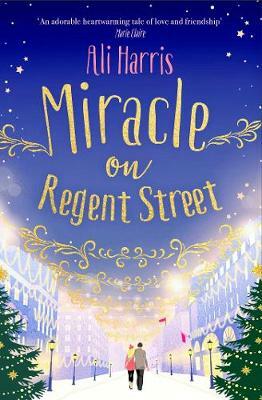 For the past two years, Evie Taylor has lived an invisible existence in London, a city she hoped would bring sparkle to her life. But all that is about to change. For winter has brought a flurry of snow and unexpected possibilities. When Evie overhears that Hardy's is at risk of being sold, she secretly hatches a plan. If she can reverse the store's fortunes by December 26th- three weeks away - and transform it into a magical destination once again, she might just be able to save it. But she's going to need every ounce of talent and determination she has. In fact, she's going to need a miracle. What a wonderful book to read in the run up to Christmas. I have just been swept away on a tide of vintage clothes, soaps and old-school glamour.